Just recently, and boasting 45 million players of the game, Epic Games announced that it will provide $100 million in prize pool money for Fortnite competitions in the first year of competitive gaming. Plus, the IOC will shortly be holding a summit, to better understand esports, which could be a precursor to inclusion in future Olympic games. Late in 2017, Essendon Bombers Football Club, a Melbourne based team who compete in the Australian Rules Football League, acquired Abyss esports team, in partnership with Executive Sports and Entertainment and, it included, a full re-branding of the team to the Bombers and full integration with the football club and its operations structures. 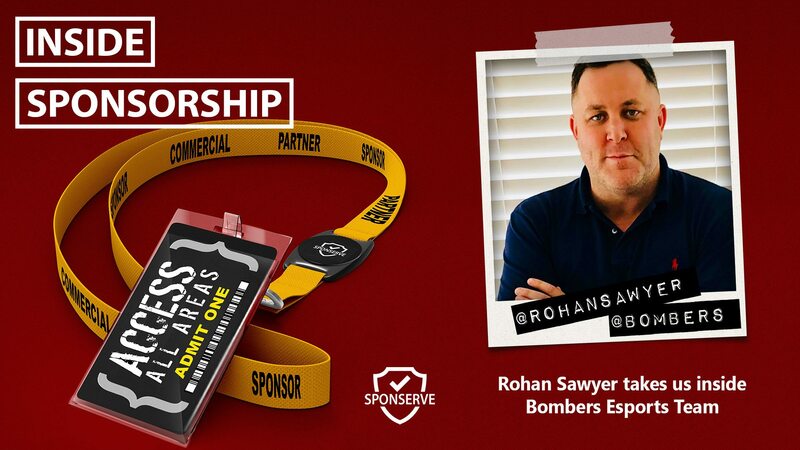 Rohan Sawyer is the Managing Director of Executive Sports and Entertainment and is also the Executive Director of Bombers Esports and he joins us to discuss their commercial program as well as his experiences as GM Commercial and Marketing at the Rugby League World Cup 2017 and Head of Commercial at the Australian Turf Club. If you’d like to connect with Rohan you can do so on LinkedIn or on Twitter using or visit www.esetheagency.com. You can find out more about Bombers Esports on Facebook and Twitter and more about the Essendon Bombers Football Club on their website. Also joining us on the show, to discuss his latest blog, is SponServe’s General Manager – Product, Sam Irvine, who has looked at why working with your charity partners has become more than just a donation.